Take to the stars as a mercenary with your own starship and services for hire; on the edge of Sector 1337, a remote area in the Galaxy, remnants of an ancient alien civilisation has been uncovered and now powerful corporations aligned to the three dominant factions; The Federation, The Empire and Jericho, have now swarmed into the sector to lay claim to its territory and the wealth it can glean from these new discoveries. In Start Conflict players are the mercenaries hired to do the fighting for these three Factions, each with their own agenda and ultimate goals, players will be pitted against each other as solo lone wolf mercenaries or larger player made Corporations looking to stake their own claim in the battle for the sector. With adrenaline pumping combat, stunning graphics and a wide range of available ships and modifications available, this free to play MMO shooter provides endless amounts of content and entertainment with both PVE and PVP game content. Each mercenary has control of a number of ships in their fleet, each ship can fill one of nine different roles that determines its overall abilities and capabilities, but ultimately each falls into one of three different classes: the Interceptor, the Frigate and the Fighter. Interceptor ships are built for speed and the ability to run down fleeing enemies at the expense of having weaker defence and offensive capabilities; they move in, strike quickly and then get back out before enemies can react. Frigates have more firepower and considerably more hull and shield integrity, these floating giants are an imposing sight to behold but are vulnerable due to their slow speeds and poor manoeuvrability. As a balance between these two classes the Fighter fills that gap well with more well-rounded firepower, combat range, defences and manoeuvrability they can step into many roles where needed. As well as choosing from over the 100 available ships, each made more unique depending on the players chosen faction, each is fully customisable with a range of upgrades ranging from weapon turrets, missile ordinance and ship modifiers to increase various characteristics such as Engines, Halls, Shields, Computers and Capacitors, which will all improve the quality and properties of a ship. Each ship type also has a variety of Special Modules that they can equip including the “Tackler” Fighter class ship type equipping a Chameleon module to render it invisible to both sight and sensors for a period of time, the “Recon” Interceptor classes ability to use a Microwarp Engine module to make long range jumps through space, and many more. 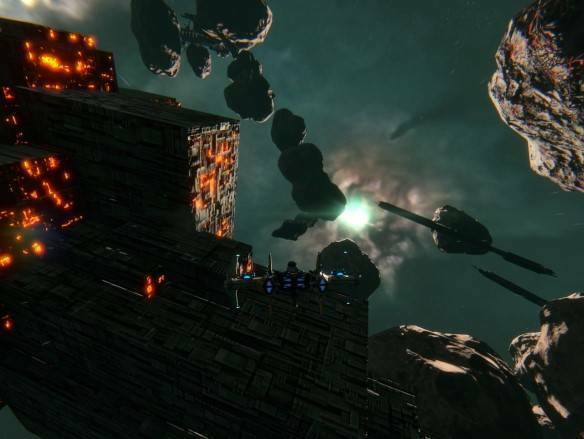 Style Conflict has a number of PVE focused missions for solo players or teams of for working cooperatively where they can go up against aliens, Pirates and rival factions to reclaim valuable rewards. Alternatively for those players that enjoyed PVP there are numerous PVP game modes for instanced based team combat encounters or the larger Sector Control war where entire player founded Corporations can fight against each other for control of a maps territory.